Treasure Valley Treats and Tragedies: Taco Time street food? Carnitas is generally shredded pork, lightly fried to give it a slightly crispy texture. 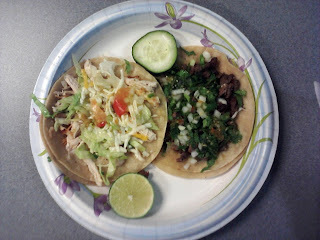 Each taco will contain perhaps 1/4 cup of meat, topped with a generous sprinkling of onion and cilantro. The corn tortillas (usually two per taco) tend to be a little dry, which is why the sauce is important. Sauces will always be available, either bottled and sitting out for customers, applied directly to the tacos by the cook, or given in little plastic cups. Both red and green sauces are almost always provided. Okay, so we're getting a little closer here. 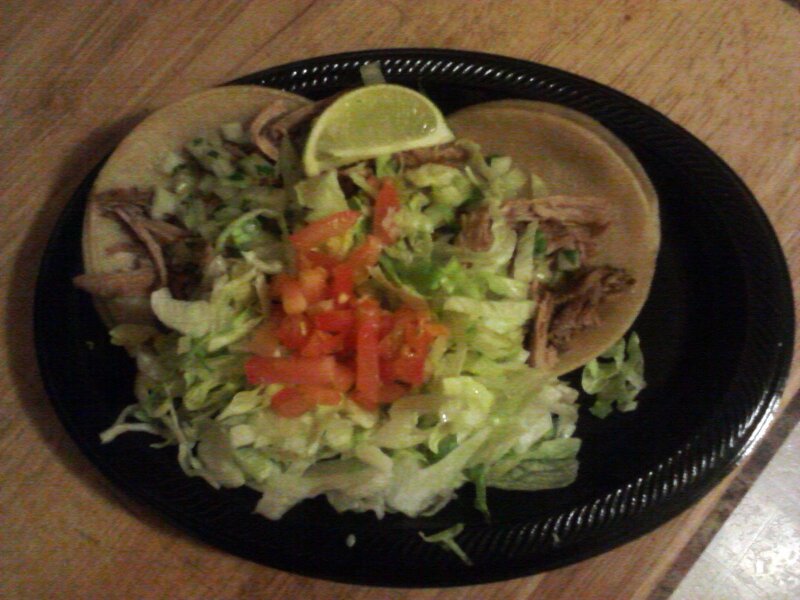 The onions look good, the meat needs to be redistributed so it's more even between the two tacos. But where is the cilantro? Just those few scattered green flakes clinging to the onions? 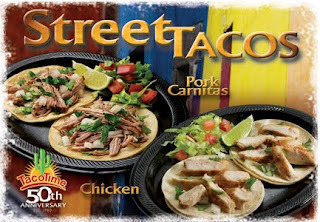 Let's look at some real street tacos, shall we? Yeah, definitely a major difference in the amount of cilantro. I never even tasted it. And forget what I said about Lorena's tortillas being a little greasy, Taco Time's are easily three times as bad, and without the resulting crispiness and flavor. 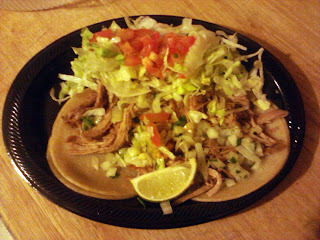 The meat tasted like it had come from a slow cooker, more like pot roast than what I'm used to thinking of as carnitas. A squeeze of lime and some of the spicy green sauce gave a little bite but didn't make up for the overall lack of flavor. The second taco I tried with a bunch of the lettuce and tomato and the house red sauce, and it ended up tasting like what it was: a Taco Time taco. It was nice to have satisfied my morbid curiosity, but a little disheartening to think that I could have gotten three times the flavor, not to mention as much as twice as many tacos, from any of the quality trucks in town. If you're like me and just want to know what they're trying to accomplish, or if you've never had street tacos and think this might be a good introduction, I hope I've described it well enough for you to save your four bucks. 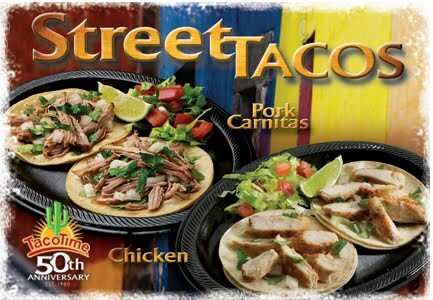 Go get some real street tacos. They're all over the Boise area, and they're worth it.